Albert Meltzer was one of the most enduring and respected torchbearers of the international anarchist movement in the second half of the twentieth century. His sixty-year commitment to the vision and practice of anarchism survived both the collapse of the Revolution and Civil War in Spain and The Second World War; he helped fuel the libertarian impetus of the 1960s and 1970s and steer it through the reactionary challenges of the Thatcherite 1980s and post-Cold War 1990s. 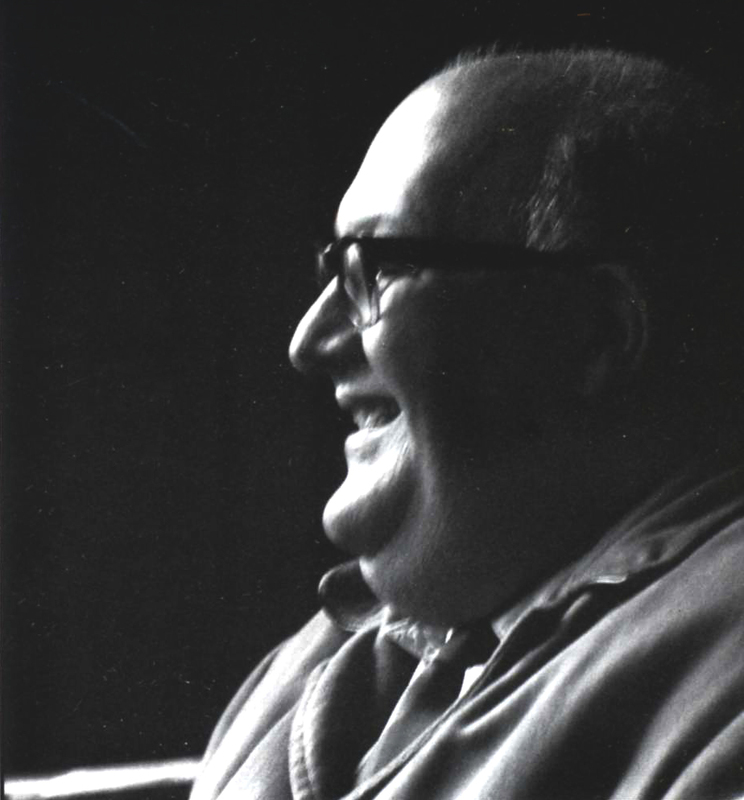 Albert Meltzer, anarchist, born London, January 7,1920; died, Weston-Super-Mare, North Somerset, May 7, 1996. Fortunately, before he died, Albert managed to finish his autobiography, I Couldn’t Paint Golden Angels, * a pungent, no-punches pulled, Schvejkian account of a radical twentieth century enemy of humbug and injustice. A life-long trade union activist, he fought Mosley’s Blackshirts in the battle of Cable Street, played an active role in supporting the anarchist communes and militias in the Spanish Revolution and the pre-war German anti-Nazi resistance, was a key player in the Cairo Mutiny during WWII, helped rebuild the post-war anti-Franco resistance in Spain and the international anarchist movement. His achievements include Cuddon’s Cosmopolitan Review, an occasional satirical review first published in 1965 and named after Ambrose Cuddon, possibly the first consciously anarchist publisher in the modern sense, the founding of the Anarchist Black Cross, a prisoners’ aid and ginger group and the paper which grew out of it Black Flag. However, perhaps Albert’s most enduring legacy is the Kate Sharpley Library, probably the most comprehensive anarchist archive in Britain. Born in 1920 into a mixed marriage in the London of Orwell’s Down and Out in which there were few homes for heroes, but many heroes fit only for homes, Albert was soon enrolled into political life as a private in the awkward squad. His decision to go down the road of revolutionary politics came, he claimed, in 1935 at the age of 15 – as a direct result of taking boxing lessons. Boxing was considered a “common” sport, frowned upon by the governors of his Edmonton school and the prospective Labour MP for the area, the virulently anti-boxing Dr Edith Summerskill. Perhaps it was the boxer’s legs and footwork he acquired as a youth that gave him his lifelong ability to bear his considerable bulk. It certainly induced a lifetime’s habit of shrewd assessment of his own and opponents’ respective strengths and weaknesses. The streetwise, pugilistic but bookish schoolboy attended his first anarchist meeting in 1935 where he first drew attention to himself by contradicting the speaker, Emma Goldman, by his defence of boxing. He soon made friends with the ageing anarchist militants of a previous generation and became a regular and dynamic participant in public meetings. The anarchist-led resistance to the Franco uprising in Spain in 1936 gave a major boost to the movement in Britain and Albert’s activities ranged from organising solidarity appeals, to producing propaganda, working with Captain J R White to organise illegal arms shipments from Hamburg to the CNT in Spain and acting as a contact for the Spanish anarchist intelligence services in Britain. Albert’s early working career ranged from fairground promoter, a theatre-hand and occasional film extra. Albert appeared briefly in Leslie Howard’s Pimpernel Smith, an anti-Nazi film that did not follow the line of victory but rather of revolution in Europe. The plot called for communist prisoners, but by the time Howard came to make it, in 1940, Stalin had invaded Finland, and the script was changed to anarchist prisoners. Howard decided that none of the actors playing the anarchists seemed real and insisted that real anarchists, including Albert, be used as extras in the concentration camp scenes. One consequence of this meeting was Howard’s introduction to Hilda Monte, a prominent but unsung hero of the German anarchist resistance to Hitler, which may have contributed to his subsequent death en route to Lisbon. Albert’s later working years were spent mainly as a second-hand bookseller and, finally, as a Fleet Street copytaker. His last employer was, strangely enough, The Daily Telegraph. While by nature a remarkably gentle, generous and gracious soul, Albert’s championship of anarchism as a revolutionary working class movement brought him into direct and sustained conflict with the neo-liberals who came to dominate the movement in the late 1940s. Just as people are drawn to totalitarian movements like fascism and communism because of their implicit violence and ideological certainties, many otherwise politically incompatible people were drawn to anarchism because of its militant tolerance. Albert was vehemently opposed to the re-packaging and marketing of anarchism as a broad church for academia-oriented quietists and single-issue pressure groups. It was ironical that one of this group, the late Professor George Woodcock, should publicly dismiss anarchism as a spent historical force in 1962, blissfully unaware of the post-Butskellite storm which was about to break and the influence anarchist and libertarian ideas would have on this and generations yet to come. It was his championship of class-struggle anarchism, coupled with his scepticism of the student-led New Left in the 1960s which earned Albert his reputation for sectarianism. 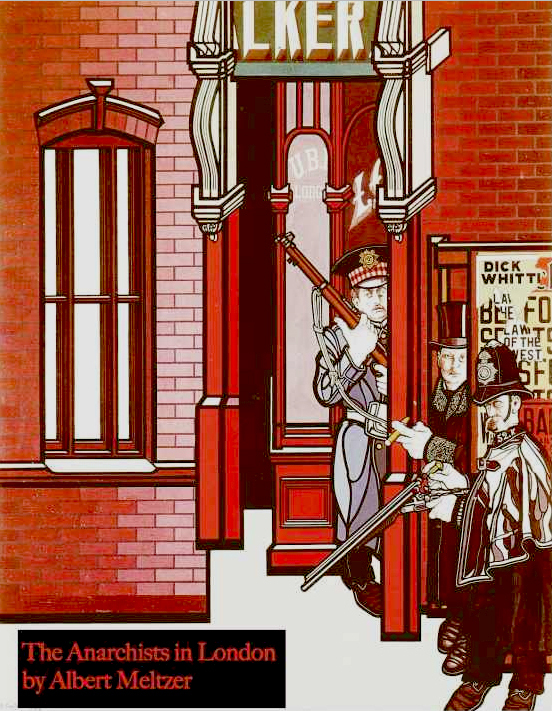 Paradoxically, as friend and Black Flag cartoonist Phil Ruff points out in his introduction to Albert’s autobiography, it was the discovery of class struggle anarchism through the “sectarianism” of Black Flag under Albert’s editorship that convinced so many anarchists of his and subsequent generations to become active in the movement’. The dynamic and logic of Albert’s so-called sectarianism continued to bring countless young people into the anarchist movement then and for a further thirty years until his untimely stroke in April 1996. It is difficult to write a public appreciation of such an inscrutably private man. Albert Meltzer seemed often like a member of a tug-of-war team; you never quite knew if he was there simply to make up numbers or if he was the anchor-man of the whole operation. To Albert, all privilege was the enemy of human freedom; not just the privileges of capitalists, kings, bureaucrats and politicians but also the petty aspirations of opportunists and careerists among the rebels themselves. Much of what he contributed to the lives of those who knew him must go unrecorded, but he will be remembered and talked about fondly for many years to come by those of us whose lives he touched.